How To embed a Google Form in your documents to gain valuable insights from customers, partners, clients, and fellow employees! Online surveys and forms are a great way to gather important, customer-centric data on a wide scale. Not only they are extremely cheap, convenient, and provide quick results, online surveys also allow businesses to conduct surveys that reach a wider audience. Get a deeper understanding of who your target market is. Gain an understanding of your current customer’s needs. Surveys help to gain insight, set realistic goals, identify new opportunities and come up with new strategies. All businesses should be using surveys to improve their product, service, and overall business! The first thing that comes to mind while creating surveys is Google Forms. 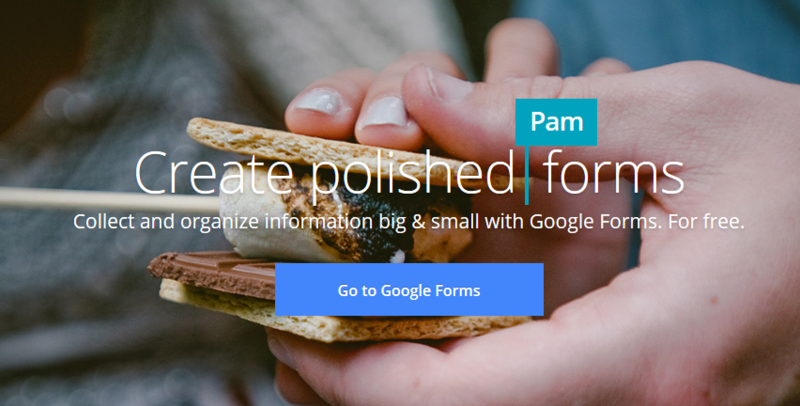 Google Forms allows users to create free surveys, questionnaires and analyze the results. Users can choose from a variety of pre-made templates or they can create their own. Apart from using Google Forms for market research, people can use forms to create a quick poll, collect emails for a newsletter, create fun and engaging quizzes, manage event registrations and more. Google Forms are more interactive than your traditional online forms. You can customize each form by selecting various visually appealing themes or use your own photo or logo. You can even add images and YouTube videos to your Google Forms to make it more interesting and engage the audience like never before. Since Google Forms are responsive, users can create, edit or respond to forms from any device- be it their PC, tablet or smartphone. Once your audience is done filling out the Google Form, Google automatically displays the results in real-time using visual graphs and charts. You can even export this data and organize it in Google Sheets for deeper analysis. You can even add other collaborators to create your surveys and forms together! Bit helps you create documents of the future that are dynamic and are much more than plain-boring text. Thus, apart from allowing multiple users to collaborate on documents, Bit also allows users to share any sort of rich media like YouTube videos, SoundCloud Playlists, Google Docs, One Drive Excel Spreadsheets, GIFs, Tweets, Google Forms, etc. Basically, anything on the internet with a link (i.e. https://example.com) can be shared and Bit will automatically turn it into visual content. Multiple people can simultaneously collaborate on a Bit smart document in real-time. It’s a wonderful way to manage projects, create client facing material, brainstorm, share meeting agendas, create proposals, and most importantly, share knowledge. Don’t just share content that has text and images, include interactive content where you can collect feedback on the information you’re sharing. The use cases are endless! With Bit you can copy and paste any Google Forms weblink on a blank line of a Bit document and hit enter. No more dealing with messy iFrame/embed code! 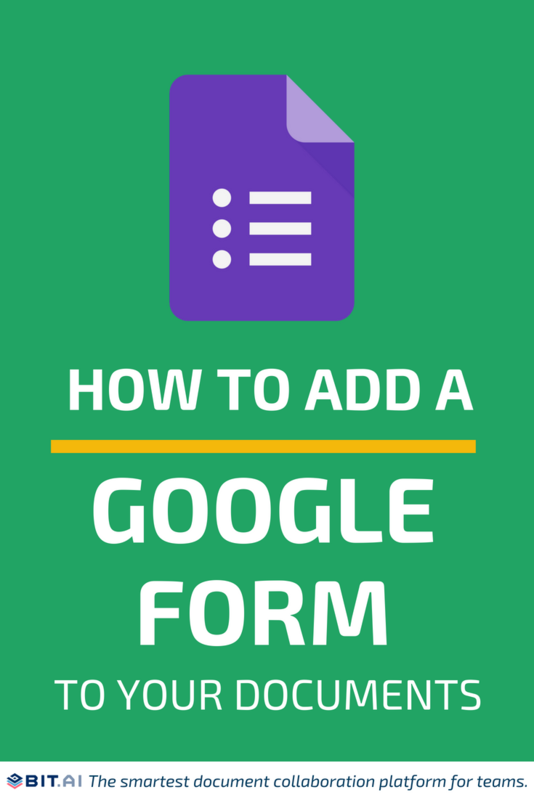 Sign in to Google, go to Google Forms website forms and hit the + button to create a new form. You could pick a template or start from scratch. Provide a form title, description, and start adding your form fields. You can click on the add button in the menu to add a new form field. You can also add images and videos. Once you are satisfied with your form, click the send button on the top bar of your Google Form. Click the link tab and copy the Google Forms shareable link. Go to Bit.ai and paste the Google Forms weblink on a blank line and hit enter. Bit will automatically fetch the Google Forms and display it like this. Important: Any changes made to this Google Forms will be reflected in this Bit document rich embed in real-time. Research – Submit data, interview answers, etc. Bit documents allow users to create, share, manage and track all your work documents, both for internal and external use. 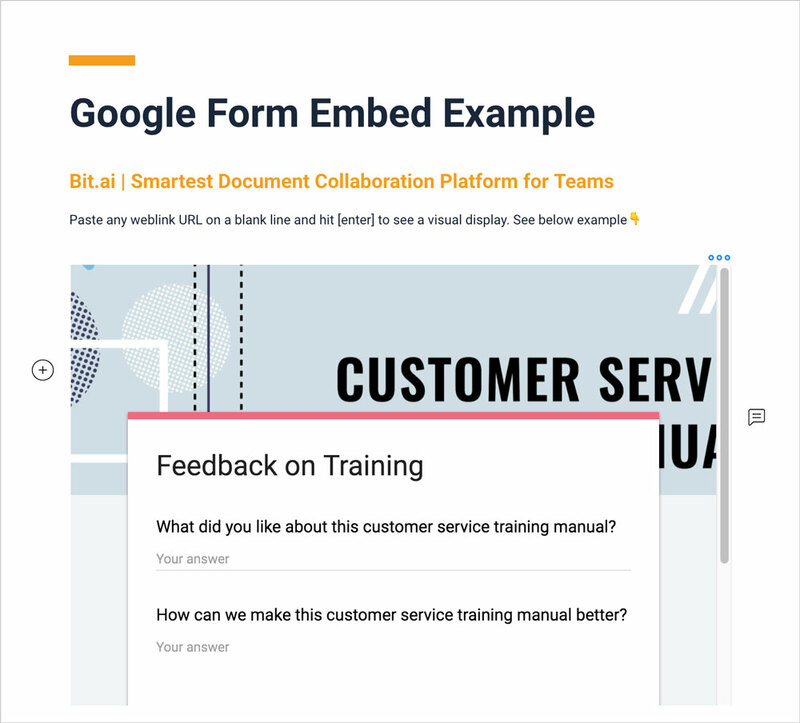 With the ability to embed a Google Form in your Bit documents, users can share these documents with your employees, clients, partners or customer to get instant and critical feedback quickly. Get the data you need quickly and try embedding a Google Form in your Bit documents today!